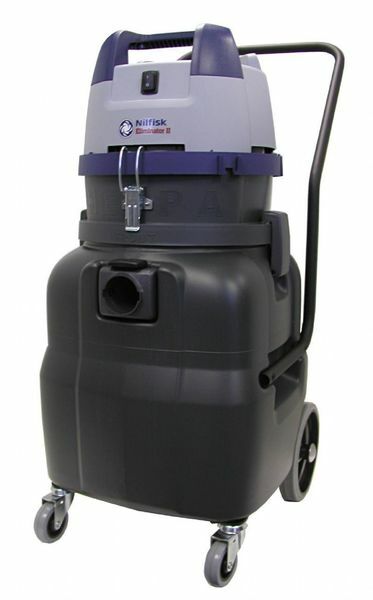 Nilfisk Eliminator II Wet/Dry Vac Nilfisk The Nilfisk Eliminator II Wet/Dry Vac is a powerful vacuum for wet or dry collection in the most rugged environments. Its built in drain makes it easy to empty. A superior filtration system, including a HEPA filter, ensures a safer work or home environment. Dimensions: 9" x 12" x 18"